Tutbury Castle is known for its spectacular events. These include major themed events for Bank Holidays. Vikings, Knights in Armour 1940s and Fairytale weekends, and of course our famous Vikings and Fireworks experience in November. 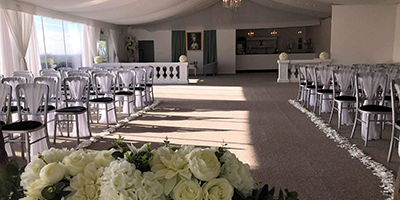 Our silver and white contemporary marquee, can seat up to 120, or for more intimate events, the historic Great Hall filled with antique furniture can seat up to 34. Best know as one of the prisons of Mary Queen of Scots, who was held at the Castle on four occasions. Now captivating visitors from all over the world…. 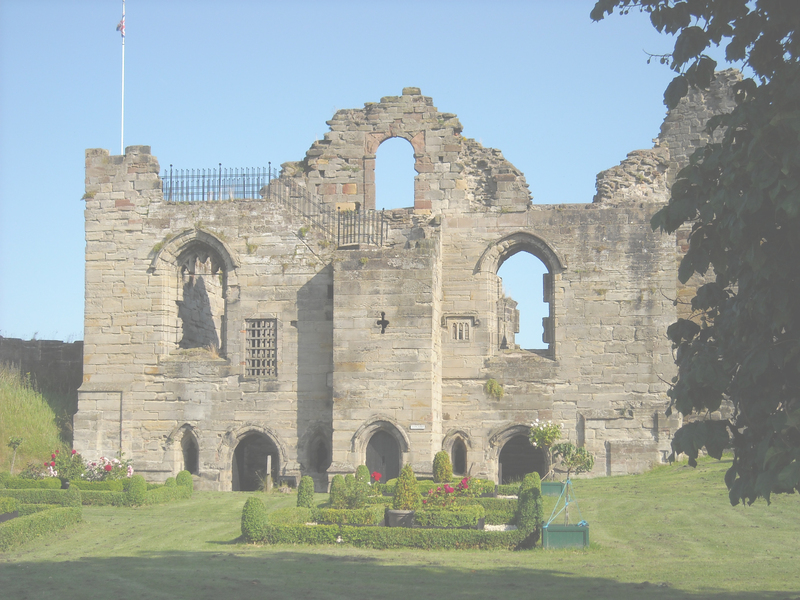 Situated in the heart of England, Tutbury Castle sits on wooded slopes overlooking the winding River Dove, with spectacular views across the plain of the Dove to the beautiful Derbyshire hills. Its commanding view and natural defensive position makes this an obvious site for a castle. Occupied since the Stone Age, the castle is first recorded in 1071, as one of the new castles built to stamp the authority of the Norman conquerors across the Midlands. 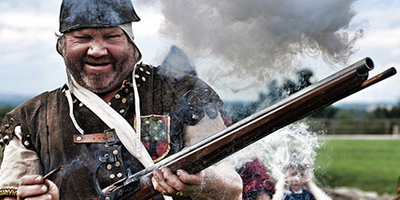 Since then, the castle has played an important part in English history on many occasions, in warfare and in peace. 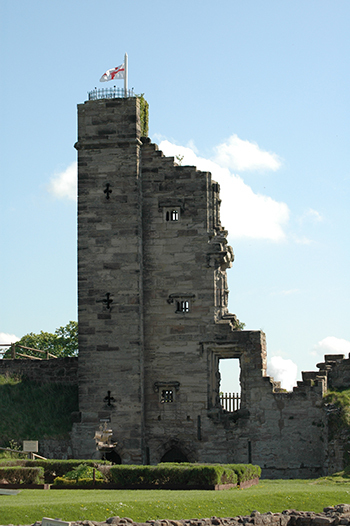 The castle is best known as one of the prisons of Mary Queen of Scots, who was held here on four occasions. It was here that she became involved in the plot that ultimately led to her bloody execution at Fotheringhay. Seat of the de Ferrers family and later of the earls and dukes of Lancaster, Tutbury was also one of the great centres of power in medieval England. It was visited by many English kings, and home to the great John of Gaunt, 2nd Duke of Lancaster, who established a great annual feast. This tradition lasted for hundreds of years. It also had its bloodier side, as it was besieged, destroyed and rebuilt several times. It was destroyed for the last time by Act of Parliament in 1647-48, after holding out for Charles I in the Civil War. The destruction was incomplete, leaving the dramatic ruins that we see today, and the castle has never been completely abandoned. Since 2000, the castle has taken on a new life, welcoming thousands of visitors every year. 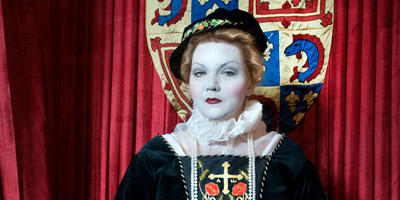 With historical re-enactment, archaeological excavation, an authentic Tudor garden and mediaeval herbery, the ‘haunted’ Great Hall and King’s Bedroom, and of course the tearoom, there’s something for everyone.